From October 1st through 3rd, 2009, ITP marked its 30th Anniversary with a series of lectures, workshops, and skill-sharing and teaching sessions, culminating in a benefit cocktail party and celebration. 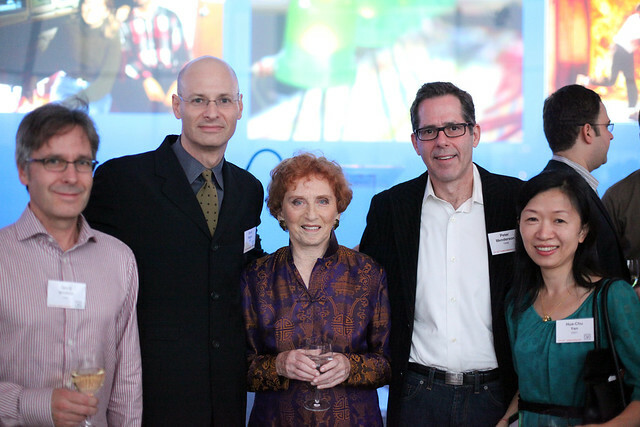 Over 800 alumni, current students, faculty, staff and friends of ITP gathered to celebrate 30 years of innovation, collaboration and creative play, and to appreciate the amazing contributions of Red Burns, ITP’s chair and founder. The ITP30 weekend also kicked off a major fundraising effort to support the Program, through the newly-established Red Burns Scholarship Fund.